Now it’s up to VPN provider VPNinja to have some news! 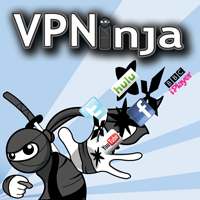 We introduce you a new entrant on ST4RT*vpn: VPNinja! No sooner as they arrived than they already have some news! The provider added new servers in Japan, in the United States and in France. VPNinja also supports France in its struggle against Internet censorship and for the acces to foreign web services. It is possible to connect to any VPNinja server. All the routers come with one year of VPNinja service. The price of a router is $99. Routers can be delivered anywhere in the world. For further information, we invite you to visit VPNinja’s official website. ← Some novelties for VPN provider BoxPN!